Last time i wrote was about how warm it was, that didn’t really change much for all of July. Apparently it was the 4th warmest July on record for New Zealand. Corn turns in July was common and i wasn’t quite ready for it. Luckily i was busy working for most the month. However its gotten cold and started snowing again, not much but some is better than none. 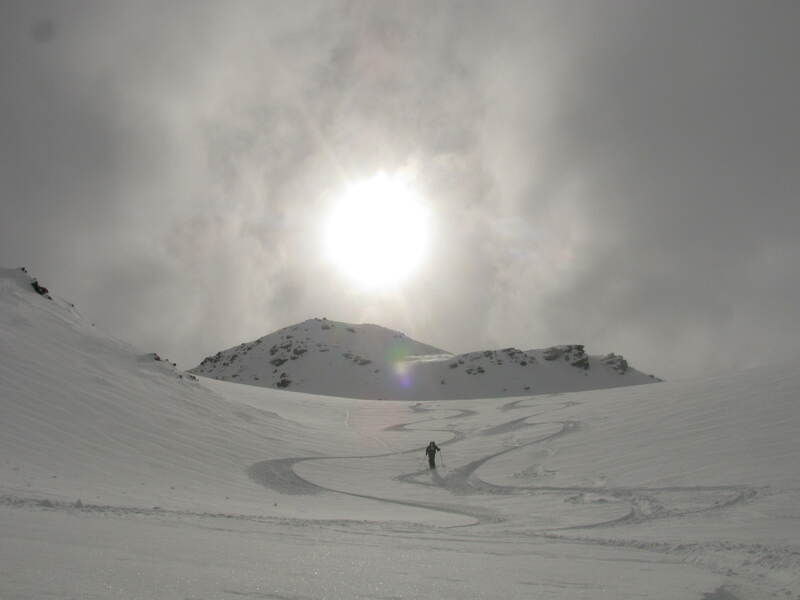 The ski hills all stated around 10cm, the perfect amount to cover up all those rocks, tussocks and exposed patches of ice. I went into a local ski shops workshop on monday night to pick up some parts and they were busy fixing a whole heap of core shots. 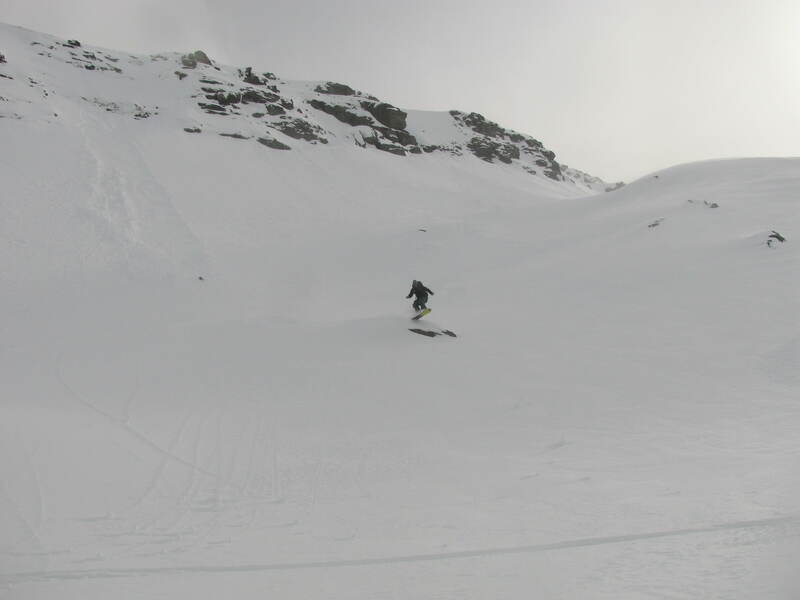 Myself and my lady made it up to the Remarkables and it all looked a bit grim. A crusty skin up to the ridge line revealed that the grass was greener (pow was whiter?) on the other side. 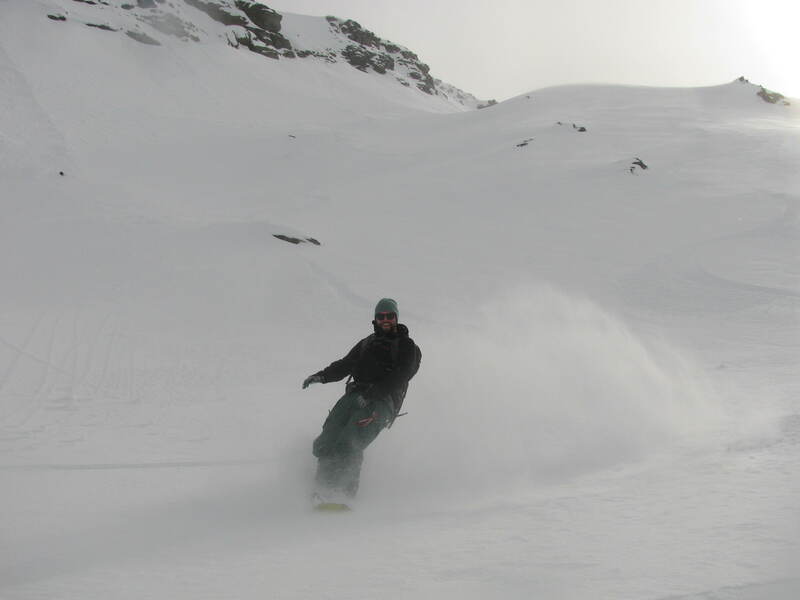 Deep wind drifted snow, still dry and prime for the shredding! We played it safe with our terrain choice today, mixed conditions sadly claimed a life the previous day so ever cautious we rode a small gentle rolling valley that was easy to lap but still fun! 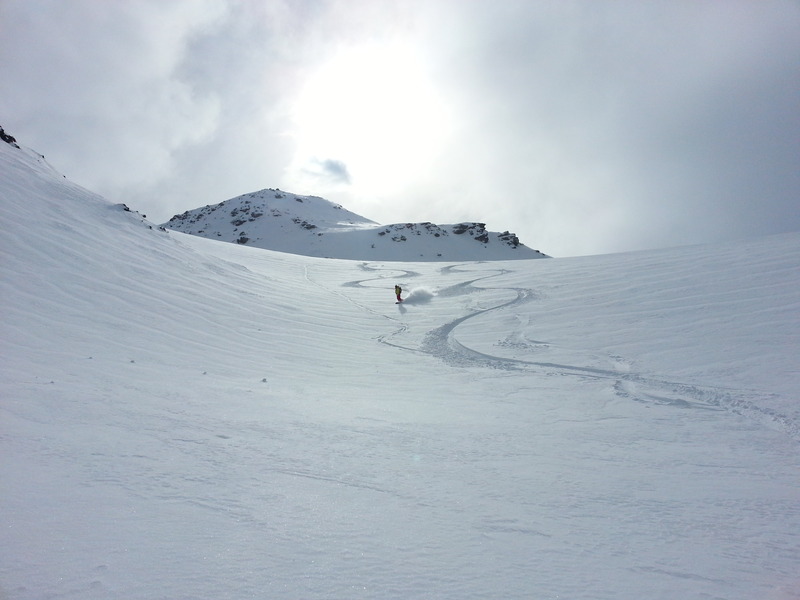 This entry was posted in Trip Reports and tagged backcountry, mountains, new zealand, powder, queenstown, Remarkables, ski touring, Snow, snowboard, splitboard, splitboarding, wakatipu, Winter, Wye Creek by splitboardnz. Bookmark the permalink.